Israeli Ynet News said the officer was not hurt in the alleged attack, and opened fire on the Palestinian, killing him instantly. 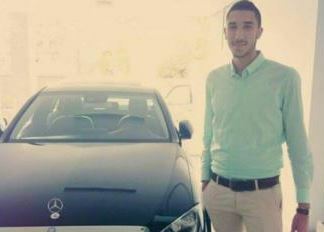 Palestinian sources said the slain Palestinian teen in Jerusalem has been identified as Mustafa ‘Adel al-Khatib, 18 years of age, from Sur Baher town, in occupied Jerusalem. 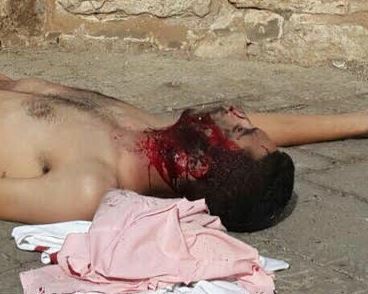 He was killed near Bab al-Asbat (The Tribes Gate) in the city. Eyewitnesses said Khatib, a high-school student, was driving his car in a narrow street between the al-Asbat Gate and Hatta Gate, in the Old City, before the soldiers ordered him to stop, and instantly opened fire on him. A Palestinian medic told Al-Jazeera Mubasher that the slain teen ‘was shot while still in his car,’ after the soldiers suspected that he might intend to stab them, and that they fired several live rounds on him. Israeli media outlets were very brief in detailing the events that led to the death of the Palestinian teen. On Sunday evening, the Palestinian Health Ministry said that a 13-year old child, identified as Ahmad Abdullah Sharaka, 13, from the al-Jalazoun refugee camp, died of serious wounds he suffered earlier in the day, after Israeli soldiers shot him, close to Beit El settlement, northeast of al-Biereh in the central West Bank district of Ramallah. On Sunday at dawn, a Palestinian mother who was five months pregnant was killed along with her child, while at least four other family members were injured, after the Israeli Air Force bombarded the Zeitoun neighborhood in Gaza City. On Monday, the Palestinian Health Ministry said Israeli soldiers have killed 25 Palestinians, including eleven in the Gaza Strip, since the beginning of October (12 days), and that more than 1300 have been injured, including many who suffered life-threatening injuries. Health Minister, Dr. Jawad Awwad, said eight of the slain Palestinians were children, which he says is proof that Israel targets children with lethal force, especially since the children were largely shot in the upper parts of their bodies.